NEW YORK (WABC) -- Police took a man into custody in the killing of a reputed mob boss on Staten Island. A Long Island mother was forced to drop an infant from the balcony during a fire on Long Island. And the streets of Manhattan turned into a sea of green for the annual St. Patrick's Day parade. 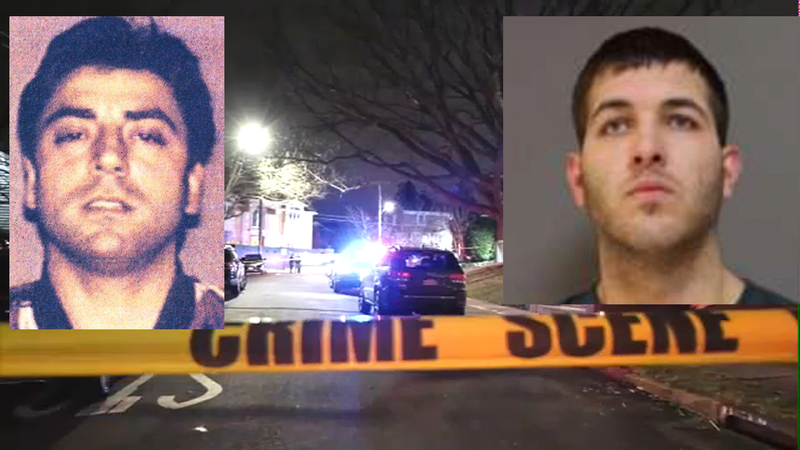 The NYPD said 24-year-old Anthony Comello was arrested Saturday in the death of Francesco Cali on Wednesday in front of his Staten Island home. Naveen Dhaliwal has the latest from Eltingville. New York City hosted its annual St. Patrick's Day Parade on Saturday, bringing together tens of thousands of marchers in one of the largest American celebrations of Irish heritage. Diana Rocco has more from along the parade route. Police say the mother dropped her infant from a second-floor balcony into the arms of a bystander below, before jumping to the ground herself to escape an apartment building fire in Ronkonkoma. A fire tore through an apartment building in Ronkonkoma early Sunday. The NYPD released video from an assault inside a Coney Island bodega in which an innocent bystander was stabbed while customers dove behind the counter to avoid the confrontation. The search is on for four men behind an assault at a Brooklyn bodega. In a speech in Delaware, the former vice president boasted Saturday that he has "the most progressive record of anybody running," even though Biden hasn't announced whether he will launch a third run for the White House. Former VP Joe Biden made a verbal slip about a potential presidential run.